Black, Red, Blue, Yellow Etc. 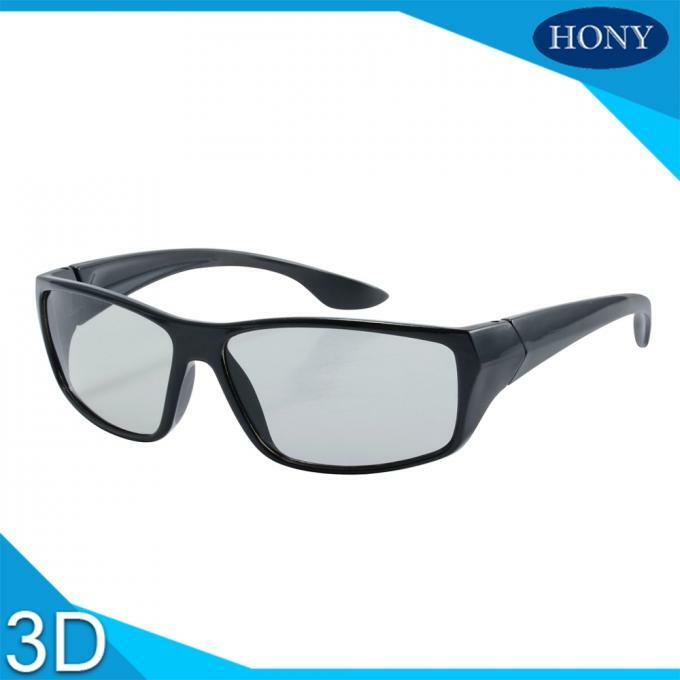 3d movie and 3d TV etc. 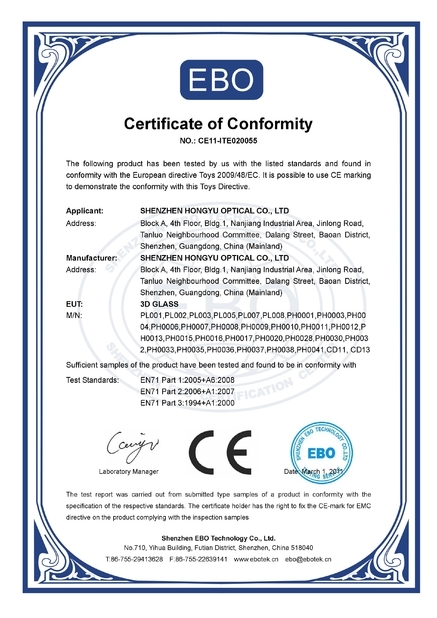 Optics parameter:Polarized efficiency 99.99%, transmittance above 43.5%. Usage area:3D theater(match with REALD, Masterimage systems in cinemas), 3D TV. 2.Our circular polarized lens has the best effect.The windage is (+/-) 1 degree at most. 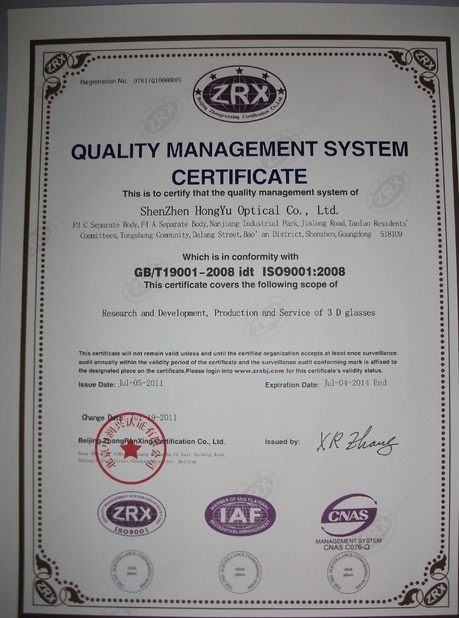 3.We can adjust the panton color of the frame as your requirement. 4.We can sick screen your logo on the frames if our clients need. 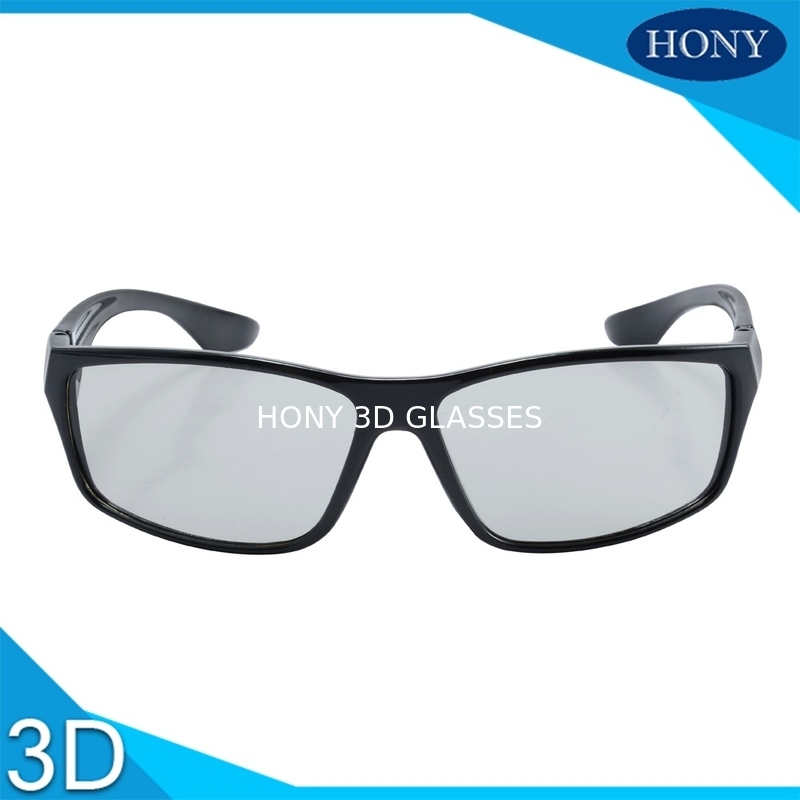 5.The frame can be detachable for this kind of glasses.